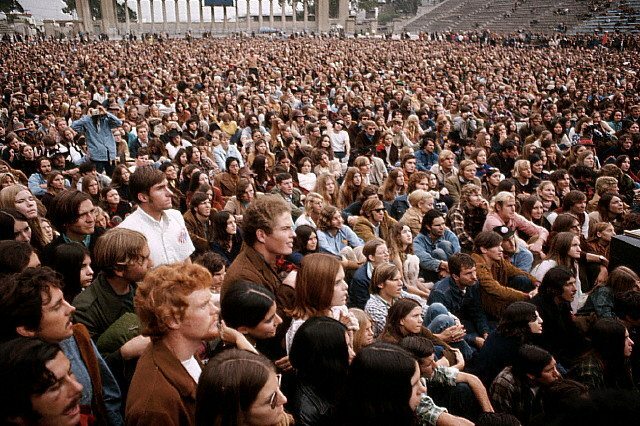 I started writing in the hey-day of the alternative press in San Diego.Back then it was called the underground press, partly because of the running battle between the hippie radicals publishing those papers and the local authorities, who were hell-bent to put us out of business. Propagating viewpoints contrary to the prevailing wisdom as presented by the establishment press were frowned upon, especially here in San Diego, where a dour and ultra conservative Copley Press dominated the public discourse.In the early days, underground papers lived to publish their next issue.Street sellers were harassed, and vending machines were banned or vandalized, making distribution difficult. Police harassment included raids on our offices, visits to (warn) advertisers and regular attempts at surveillance and infiltration. There were right wingers who made habitual death threats by phone and, on occasion, broke into newspaper offices to destroy whatever equipment happened to be there.And we had to deal with all that before counting up our meager resources to see if we had enough cash prior to driving to Los Angeles or Riverside to find a printer willing to actually print the paper. Finding a printer in San Diego was out of the question. The San Diego Street Journal started out as the San Diego Free Press.I once heard that the name was changed due to pressure from the LA Free Press, which was widely distributed in the San Diego market back then.As the most “radical” of the underground papers, the Street Journal took it on the chin when it came to right wing harassment.Their muckraking articles exposing the true nature of San Diego’s power structure were inspirational for myself and others who would strive to follow their lead as we evolved over at the Door in subsequent years.Lowell Bergman, who went on prominence as an investigative reporter/producer at ABC’s 20/20 and CBS’s 60 Minutes got his start at the Street Journal. Recently an acquaintance shared with me a collection of back issues of the San Diego Door.My time with the San Diego alt/unde-press of that era started with the OB Liberator, included an article or two for the Street Journal, a year or so with the print version of the OB Rag, and ended with several years at the San Diego Door.The papers that I re-read last night for the first time in over three decades were published in 1972-74.Most of the old Door editions were ones that I’d worked on, and reading them was a trip down memory lane. The subject matters that the Door took on, given its finite resources, look all the more impressive after three decades.Issues that were given regular and unstinting coverage included the war in Vietnam, the struggles of the Farmer Workers Union, abortion rights, energy prices, US intervention in a wide variety of third world nations and sexism in the educational system. Anti-war protests large and small, along with every trial of protestors (and there were lots of trials, this being good ol’ reactionary San Diego) were reported on. 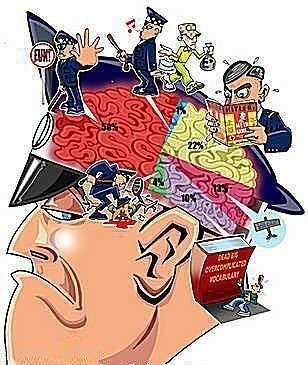 Who were the brain police? Lots of other local stories found its way onto the papers’ pages, news that the local establishment press omitted or buried. Stories about (libertarian) tax protestors, police harassment of local Chicanos on immigration charges, community opposition to development plans, sources and of funding for local political races and even sub-rosa tactics being used by the city government to evade controls on municipal sewage discharge (something that’s still going on!) into the Pacific Ocean all graced the pages of the Door.Over time some of our best sources turned out to be reporters from San Diego Union-Tribune who were disgusted by the openly reactionary agendas espoused by their bosses. The paper had its softer side, with generous amounts of cultural coverage.Movie, record, book and concert reviews appeared throughout every issue, sometimes competing with “hard news” for front page headlines.Writer/Director Cameron Crowe was a regular, contributing reviews and interviews, starting when he was a mere 15 years old. The paper featured many interviews, including one with Mohammed Ali.Bill Ritter interviewed local radio and television station people and got their take on the state of the electronic marketplace—which was ironic, as he went on to become the anchor for ABC News’ New York affiliate. One quality that differentiated the paper from others was its consistent use of high-quality original photography through most of its history. After Bill Maguire moved on in the early 70’s, Vince Compagnone‘s photography graced the pages of the paper. (He went on to a career as an LA Times photographer. )One of the more creative–and popular–uses of his talent came as a result of the fact that Vince always photographed the cops who were shadowing demonstrators at anti-war protests.At some point we realized that, along with the known plainclothes officers, undercover agents (sometimes in training) were being photographed.One thing lead to another and ‘voila!’, the undercover agent trading card was born.Readers could look forward to photos and stats, ala baseball cards that were regularly published on page two.It was wildly popular. **The links between local paramilitary right wing organizations (which it turns out were sanctioned and funded by the FBI) and Nixon’s Committee to Re-elect the President even gained it a small footnote in the Watergate saga. This was a story that just kept on giving, as the rightists, realizing that they’d been played for patsies by the feds, willingly provided the paper with evidence about their relationships with the authorities. **The ongoing relationship between the Copley News Service and the Central Intelligence Agency (Pre-Church Committee, btw). **The many, many connections between organized crime figures, land development, local banks, and politicians.The inquiries into land development/organized crime connections lead to threats being made against the researchers working on that story; they fled San Diego, leaving their notes, which were turned into series of stories. The paper also had its lighter moments.In 1973, the paper published a parody edition of the San Diego Union, complete with the headline “Nixon Declares Martial Law”.We responded to a letter from their law firm asking us to cease using their logo with note of condolence, regretting that so many of their attorneys at the firm were deceased. And when fast food king Ray Kroc bought the local baseball franchise from the Copley newspaper empire, the team was promptly dubbed the “San Diego Big Macs”. The times they continued changing; with those changes came the end of the Door.While we were busy roiling the muck, we were a lot less attentive to the changing nature of publishing in the mid 1970’s.Nixon’s Justice Department successfully intimidated the record companies, whose support via advertising was a crucial link in the alt-press money tree. A new generation of “alternative” papers supported (in part) by a new generation of robber barons ate away at what little was left of the Door‘s advertising base.And that was the end, my friends….until this blogging thingie started happening. … and while you’re at it, check out the history of the first OB Rag, go here for starters. Very good. Great trip down memory alley (what’s with the ‘lane’ business? Oh, that’s right, we only remember the good times). Where was that wonderful photo of the CSN concert? Looks like it could be San Diego High school’s field – where by the way, I saw the Beatles in 1965 or 6. A couple of follow-up points. Do a search for Lowell Bergman here on this blog and you’ll find several references to him, including a long interview with him on his early political formation at USCD with Herbert Marcuse. Also, Doug was a little kind when he described the Door being undercut by corporate-funded alternatives. It was “the Reader” – back then it was a tiny little 16 page throw away. It went after the Door’s advertisers with a vengeance, and won, sad to say. After the death of the Door, and the OB Rag by 1975, the underground press here in San Diego went into a deep slumber. We have scanned a few of the old OB Rags and they’re published on our blog. Go to the navigation bar and you’ll see the link. Actually a few of us started a magazine in the 1980s as a progressive alternative to the Reader called “the whole damn pie shop.” Some of the writers here at OB Rag blog wrote for it, including myself, Gregg Robinson, Michael Steinberg and our dear friend Rick Nadeau who recently passed away. We’ve also scanned a couple of these old magazines here on this blog. It must’ve been the Door that ran a story about the higher ticket prices for when Jimi Hendrix played the SD Sports Arena in May of ’69. They had gone up to an outrageous $5.00 each. Jimi even addressed the newspaper story in his opening by telling the audience that, (I’m paraphrasing here) to forget about everything that happened yesterday because it’s our own little world here tonight…and to let your money be well spent. That was a good concert. He had a wall of Marshall Amps behind him. I remember him playing with his teeth. Not like you or I might do with a ,plink plink ,but only as Mr. Hendrix could. Flat dab in the middle of the wild playing only he could do and with his teeth at that. I came here looking to reminisce on The Teaspoon Door and am leaving satisfied. I sold it sometimes. Didn’t believe in a lot of it, but the paper did open up our minds to a lot of new things the main stream media never told us about. Also thanks for the link Frank Gormlie. I’m going through a copies of Good Morning Teaspoon and find a refernce in the SDSU Daily Aztec about it’s creation in October, 1966. We had three editors: Jim Willems, Jon Gulledge, and myself, Don Monkerud. We produced a paper on campus for two years, and when I graduated from SDSU in the Spring of 1968, we turned the paper over to a group that wanted to form a community underground paper. I only have two copies of the tabloid, previously we were mimeograph. The first headline is, Civil War in Spain! 1936-9; and the second issue, Sailors Must Sign Killer’s Oath, from Feb. 8, 1968. I find evidence on SJSU website that they may have copies archived. In the beginning we didn’t sign articles. you shouldn’t leave out the feminist paper Goodbye to All That. Published quite a few issues in the early-mid 70s & looked a lot like the Rag, but more political. Def. not hippie. Four years after you wrote it, I commend you on an excellent overview of San Diego’s underground press scene. San Diego had a vibrant antiwar community back when. I wasn’t from there but I met many activists in Miami Beach where both parties had their conventions and young radicals gathered to demonstrate and celebrate. Why did the Republicans go there instead of San Diego? Because folks in San Diego organized such a strong opposing force that they changed plans and headed to Miami Beach. Actually that made it a lot easier for us young radicals; we didn’t have to travel to two destinations. So a belated thanks for your great work. Today I am an underground press historian (www.voicesfromtheunderground.com) and the director of a major project to digitize underground newspapers. So far, some 60 feminist and lesbian papers are on board, over 200 military underground papers, 4 papers produced by the FBI to sow dissension in the Movement, and a growing number of campus, community, minority, high school, prisoners’ rights, rank-and-file worker, and other underground papers. I have already invited OB Rag to come on board and look forward to receiving the okay soon. I would like to invite all of the papers listed in the article and the comments as well but I need permission from activists from the papers. If anyone can help me, please contact me at ken@voicesfromtheunderground.com. Don Monkerud, let’s talk about SDSU Daily Aztec. Martha, Goodbye to All That is on my list of feminist papers to invite but I don’t have any names associated with it. Were you or do you know who was? Please write. And Doug, again, great piece. Please do contact me so we can talk. Well,well,At least SOMEBODY remembers the last years of the Door.As the production artist,who was living in a loft that I built on the porch of the Door’s house,I sure have some wild memories of putting the paper together at the last minute to go to press.The ink on the artwork was wet more often than not!That was a really nice house,except for the planes overhead,so damn close!! I worked at The Door as a photographer and occasional contributor in the early 70’s, and still have several issues, as well as one of Sam’s original drawings. I’m sorry to hear that Bill Maguire has died, but it’s nice to know Doug is still around. It would be great to get the old gang back together one last time. I’m one of the editordudes/dudettes at San Diego Free Press (dot) org these days. Good to hear from you as well. I’m working as a broadcast engineer at the Fox television network center in LA these days. Boy, what a long strange trip it’s been! Do you happen to know what ever became of Bob and Dee Hartley and Sam Martin. I ran into Dee working as a waitress just before I moved to Laguna Beach. She told me about the demise of the newspaper, and that she and Bob had split up. She mentioned an entire day she had spent alone in the tree house in the backyard, crying while watching the Door house being torn down. That house still remains part of my life in the form of an “art” photo I took of it, which hangs on my wall to this day. Glad to hear you’re still carrying the fight on. I’ve managed to stay pretty active in the labor union here at Fox. Give me a shout if you’re ever up this way, and I’ll give you a tour of the network center. She is totally freaking out (to have “found” you guys for me) and I have to admit, this is so much to process with thousands of memories flooding in. In fact, I am cutting my initial contact [to this forum] short but am sure I will be back soon! Thanks for recalling me [and Dee] from ‘back inthe day’…I’m going to sign off now and try to re-gain my bearings. Hey Rebecca, great to hear from you! As I get older I get more curious about what happened to all those people on the Door staff back then. I think about you every time I pass a Foster’s Freeze (I live about three blocks from one) because of a statement you once made…..something to the effect that San Diego could only remain a viable, energetic city by virtue of the fact that it had Foster’s Freezes, and that life would cease to exist as we know it without them. I can’t imagine the pain you must have felt to have left California, and therefore Foster’s Freezes behind. I would like to get some old achieved copies of the Door. My brother wrote several articles for them and he has passed away about 20 yrs ago. His son ( my nephew ) is very politely minded and is so much like his dad. He grew up without him and I would love to get some of his articles together for him. If you could help me please email me at the address I submitted. My brothers name was Steve. Thanks for any help you provide. A paper I will add as soon as I obtain permission is Encuentro Fememil. If you know anyone from that paper, please have her contact me. Eventually the collection will be open access and available through simple Internet searching. For now, it is accessible through our supporting libraries, which you can find on the website under the “Libraries” tab. Nice to see this article! I wrote a column called Mr. Jelly for the San Diego Door. My logo was supposedly by R. Crumb. A couple interesting characters you didn’t mention who worked for the San Diego Door were rock critic Lester Bangs, and movie director Mick Garris. Love seeing this stuff, I’ve been trying to research past history and so much of it has disappeared. Love your description of the harassment problems, I remember that vividly! Ha! Sully, is that you? We always had a strong suspicion you were an undercover something or another. Was that true? In any case you did good work for the movement. That makes me think of Vonnegut’s warning that we must be careful about who we pretend to be, because that’s who we are. It is interesting to look back over so many years and realize how occupied we were with things that didn’t matter in the long run, and how neglectful we were with things that actually determined how our lives worked out. Hiya,Bob! I’m still working as an artist up here in LA. Is there any of my work in the Door been archived( by accident probably) old as work,lettering,calligraphy,headlines. That sort of thing. Call me if you wish,323-453-7601. ERIN GO BRAGH! Older Article: Roll Out the Barrels! Harvest that Rainwater!